So good! Review to come. I am addicted to the way Alexander Ivy writes suspense romance. It’s just that good! Ahh! Alexandra Ivy has done it again, another brilliant story. This was amazing, I couldn't pick who did it and the whys. it was so suspenseful and the romance was perfect. The pace of the story was exactly what I love. I cant not wait for another book in the series. This can defiantly be read as a standalone and I can not wait for this book to be on my book shelf. I loved it, I loved everything. The way it’s written, the plot, the pace, characters and romance. Yes the romance was of the charts hotter then hell, the chemistry these two have is busting from the pages. And the suspense mystery of what’s happening around them all, with people getting killed, acting weird. Gah! I just really loved it. Arc was given to me for an honest review. Eh, this was not my fav romance story that is for sure. i didn't love it and i did not hate it, i am some where in the middle. i felt like the book went on forever, and i felt like i got to know one character more then the other, and the chick was annoying she to me was a little immature. i think fans of the author will enjoy this new series. I enjoyed this one, i liked the pace and the writing. The characters were good and overall enjoyed my time reading. I think the authors fans will be happy she is back. I would continue the series eventually, am happy i was given the chance to read an advanced copy. I read this sometime in the late 2018! SO Good! ARR can do no wrong, this was the perfect lazy afternoon read spending time with beautiful characters.I love the way ARR writes, i enjoyed this story a lot. Holy smokes! This was so good, like I didn’t expect to like it as much as I have. The writing is phenomenal and the characters are so well written. But you guys the mystery suspense was so good, legit I couldn’t pick who the crazy was! This had the best element of surprise at the end, and I was living for it. I am really enjoying my time reading JAK stories and can’t wait to jump into even more of hers. Also this had the cutest romances too, like it was everything I wanted it was just perfect! I recommend this to everyone. The suspense in this one was amazing, all the way the last page. I loved that Eve let herself open up to him more int his one, I enjoyed the moments she has with her friend Mavis, Shew is literally the funniest! and Summerset. I want to know why he is such a douche. At times i was giggling along with them, I cant wait to read more and watching everyone evolve. Can't wait to read the next one, I don't know why it took me so long to discover this series. If you haven't yet to pick up the first one, do it ! I HIGHLY recommend this series and I am only 2 books in. Hi, Hello & Welcome Friends. This book you guys, this book! straight up, the beginning had me a little sceptical because it starts with both characters being so young, then we follow then building a friendship and as they grew so did there bond, with in the first 5-6 chapters you watch these two kids turn into small adults and then into young adults falling in love but then life happens and throws them a curve ball and then we meet them again 12 years later. Both of them being in there early 30's. Its a chunky story, the whole time I was reading Black Hills, YES! the entire 538 page book I was totally involved with the story, I loved the characters, the very slow burn relationship they were creating, and the world the Nora has written about. I love the mystery suspense element, it was creepy and entertaining I couldn't stop reading it. Cooper and Lil are brilliant characters with fantastic narratives, and they have a great bunch of secondary charters that I was really invested in, I loved Lil's best friend Tansy her relationship with Farley was beautiful to watch them fall in love as well as the main couple. I loved with this story it was like watching a movie unfold all the elements came together and it was epic. That ending man, had me up and down. My only complain was the ending could have been a better, but all in all I can see myself recommending this to friends and even re reading it one day. Also what was also amazing were the animals, all the big cats of the world and how they saved them that alone was such a massive part of this story and I was here for it. Set in the town of Deadwood (freaking loved that show) it was described sensational I just could close my eyes and could see it all unfold, that right there is a true story teller. Again, I enjoyed the wildlife refuge and the descriptions of the country. Honorable mentions, Cooper's grandparents and Lil's parents were so good, they were just as important to this tale as everyone else. I loved all there relationships with each other and they really brought heart and humour to the story. The psycho killer was insane, at time a little eye rolling because he was so frustrating, he really was nuts. One last thing BABY, I loved that big cougar so much, her interaction with her was beautiful! For a 3$ paperback bargain, I am so stoked and proud of myself for reading this story, it was a chunky book and at no point in the time of reading it that I was having any regrets. I really enjoyed this book, I loved it and again understand why Nora is the queen. And to find this edition was like icing to the cake, this cover was what drew me to this book. The cover is so pretty ! I know this review is a little vague, and i'm not really telling you its completely about but in full honesty its hard to explain with out giving everything away. The best advise would be to go in blind, prepare yourself for falling in-love with this family, friends town world place that Nora has created. You will be hit with all the feels and I found myself tearing up hear and there. I just loved it so much! All in all it took me 4 days in total to read and I give 5 stars out of 5. From the blurb on the back on the book. Cooper Sullivan spent the summers of his youth on his grandparents’ South Dakota ranch, sharing innocent games and stolen kisses with the neighbour girl, Lil Chance. Now, twelve years after they last walked together hand in hand, fate has brought them back to the Black Hills. Hello, Hi there and welcome. I promised myself that I would be more social on my blog this year, i'm not sure who reads these blog entries, sometimes its just for ourselves I guess. From the last time I was on here talking about books I have finished and started a few new things, I read Naked In Death by J.D. Robb and WOW i am blown away at how much i loved it, and now all i can think about is Eve and Roarke. I am going to do another whole blog post entry on this whole series.Each time i read from that series i will update it as i go, i think. Honestly haven't thought about how i will do it.What i do know is that i am committed to the challenge and want to update my progress as i read each one. I want to read them all, I am reading the as a buddy read with Fran and Suz from UTC Book Blog. But for now, here are my thoughts. The whole premises of this book was captivating, i was hooked. I loved the mystery behind the killings, and the characters Eve and Roarke were written so well that i just wanted to spend more time with them. 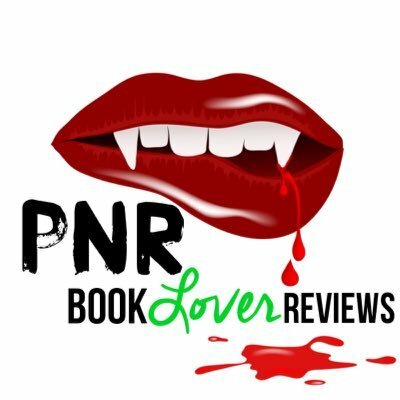 Naked in Death was the first in the In Death series, and gosh! There is so many. I loved how it kept me guessing all the time, the romance was perfectly done, again I am hooked, and can not wait to jump into the next one very soon. I know i am late to the game, but i am here now. 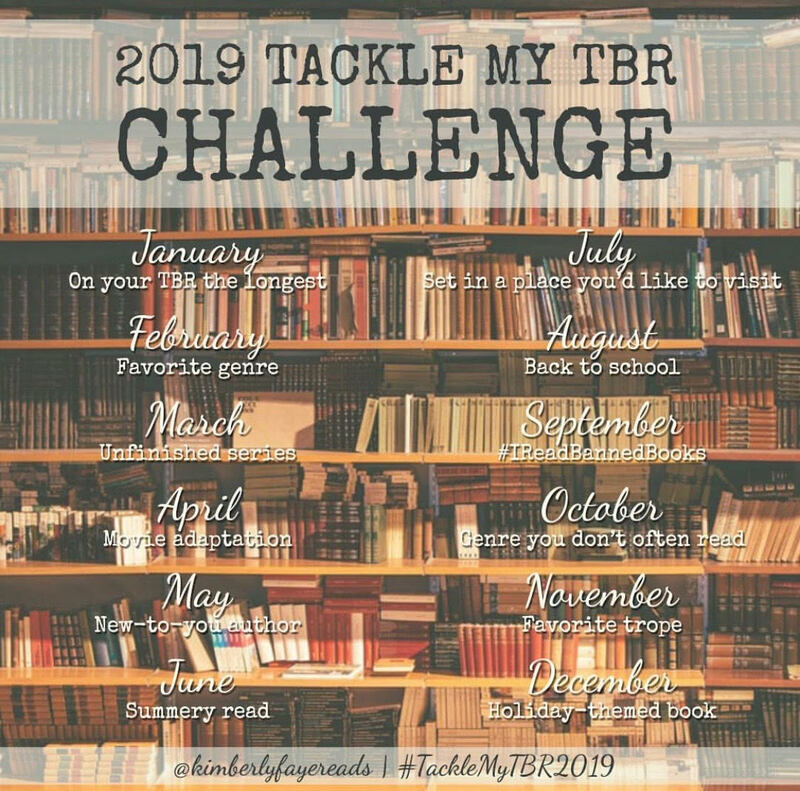 I then read Bad Attitude by Sherrilyn Kenyon a book from my Tackle My TBR Challenge. This wasn't bad, it for my was just OK. like I enjoyed it but i didn't connect with the characters, well that is a lie. I didn't like the chick in much, she took ages for me to like. I really liked the dude, but i cant even remember there names now and its been a few day. I am happy i did read it from mt ever so long TBR shelf. In saying that i would continue the series, as the other secondary characters were awesome to read about. This for me was a 3 star read. I then looked at Fantasy books for my next Romance-opoly read and have narrowed it down to a couple. I think. Its hard for me to pick a romance fantasy, because I have to many options I always feel overwhelmed. I'm in no rush though, i am on track I just know that before the months end i would like to have either started my fantasy read or finished one before Feb rolls around the corner. The books i am considering are Dreamers Pool and Dragon Bones, Make Me Burn also. But in the meantime let am tell you about what I am reading now, a Nora Roberts book called Black Hills. This book you guys, this book! straight up, the beginning had me a little sceptical because it starts with both characters being so young, then we follow then building a friendship and as they grew so did there bond, with in the first 5-6 chapters you watch these two kids turn into small adults and then into young adults falling in love but then life happens and throws them a curve ball and then we meet them again 12 years later. Both of them being in there early 30's. Its a chunky story, As i am writing this blog post i am just hitting halfway into the book, i am sitting around 260 pages of a 538 page book. I am total involved with the story, i am loving the characters, the very slow burn relationship they are creating, and the world the Nora has written about. I love the mystery suspense element, i cant wait to find out who is the crazy fucker behind the killings and stalking. Cooper and Lil are brilliant characters with fantastic narratives, and they have a great bunch of secondary charters that i am really enjoying too. Once I am finish I will defiantly let you know what I think and feel, But for now I am 100% hooked, also I have started a new audio too. I do like to listen to an audio when i am driving, or when I am cleaning the house, or laying in bed.. I started the 4th Immortals After Dark book, well now this is a long story i started this series 10 years ago but didn't continue with them, not because i didn't like them because i got distracted with other books at the time, and before i knew it i was way to far behind to try and catch up, in the end i over the years collected some of the books here and there but had have all intentions getting back into them. 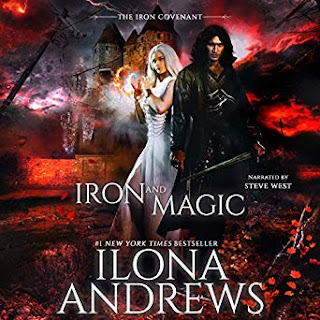 I own this one in Paperback but i grabbed the audio too i am really enjoying it again, but i haven't listened to any of it for a couple days. Hopefully when I return I can say that I have finished with that audio too. 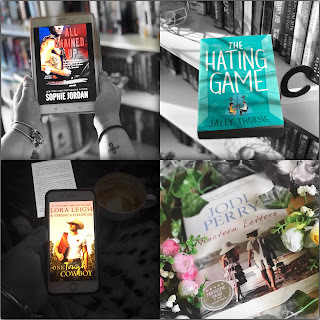 If you want to know what i am reading or watch my progress I am on Instagram posting updates all the time as i go. That is all for now, I hope you have enjoyed this little update into my reading. I haven't read a lot this week, I was also getting the January Book Lover Mystery Boxes together for postage this week. Have an awesome week, a magical weekend. I feel like this is the year I will be just reading for me, every other year I've taken too much on by myself and feel like i am just reading average rating books, i want the year to be filled with fun and enjoyment, not saying last year wasn't but if i am being honest the last half of 2018 was so much fun. I participated in reading challenges and i was just reading so many books i own and it was really rewarding. This year, 2019 is a year for me. I have decided months ago that i will only take on a couple arcs every now and then, and its not like i am getting many books from overseas publishers anymore. it seems that postage is to much, that is what they tell me... but hey who am i to judge. I still get some lovely and exciting mail from Australian publishers which i am so happy about. Anyways i went of the track. 1. To stay on brand, do what I want and read what I want. Click the link and it will take you to the website so you can join the fun too. 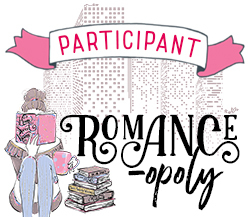 To join in our 2019 Romance-opoly book challenge you will need a couple of things. Don’t worry, nothing you probably don’t already have! Anything bespoke, we have made for you and is free to download through our Printables section. Pens, pencils, stickers…all you really need is a pen, but feel free to make the progress tracker as pretty or as functional as you like! Click the link and you can read all the rules. Here are some, I think I am going to aim for the Blitz. Read 13-24 TBR books. I like with this one there is a challenge each month, which I find helpful to pick the book. 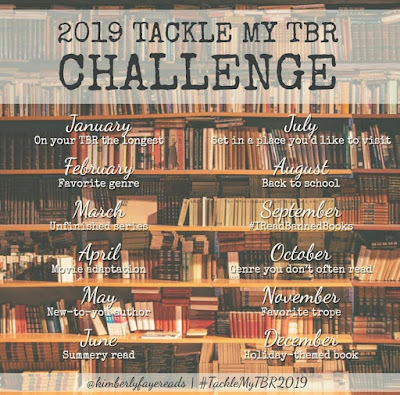 The next Challenge I am going to start is the TBR challenge, I have looked at my shelves and i have discovered what has been some of the longest books on my good reads tbr and corresponded that with my own home library to see if i had it, and i did. That book will be a Sherrilyn Kenyon title called Bad Attitude. I've been wanting to read this for so long, It hasn't been till recently I was able to find the paperback. My goal is to do weekly reading wrap ups of what i have read during the week too, The first week (ish) of January I read a total of 4 books and I finished an Audio. All Chained Up by Sophie Jordan, I rated that a 4 stars. Signing off for now, happy reading. So freaking good, I listened to the audio. It took me a little bit to warm up to the idea that this was really happening, like hello we hated this man for years and now it’s his story! The story was fantastic, I didn’t think i would love Hugh as much as I did. I’m really excited for the next one to come out. Holy smokes friends, this book blew the socks of me. I adored this book, I am in love with the world, characters and the writing. I’m hooked. The suspense and mystery of it all was amazing, kept me guessing all the time. The romance was perfectly done. Again I am hooked and can not wait to jump into the next one. I know, I know, I’m late to the game but I am here now. Taryn and Shaw, Roni Loren proves that she can again nail the slow burn as their attraction to each other is complicated by their experiences of the shooting. It’s “should we/shouldn’t we” with a side of “I can’t, but damn I want to.” For me it is annoying, but I understand we cant all have fluffy easy books, and this by far was not that. This was a 3.5-4-star read for me, an unnecessary twist late in the book diminished the experience. but Still, The One You Fight For is brave and raw and a solid story! I didn’t realize at the time this was a sci fi/ fantasy novel, I honestly seen that Amanda was releasing a new story and I was like YES gimme, gimme, gimme. Tess our main character, has secrets. A lot of them! And Shade is everything I adore in a main male lead. He too has a past and he struggles with that too. The suspense was great, I enjoyed the other characters too, it was a fun and enjoyable read, it wasn’t my favourite, but it was still solid. The book doesn’t end on a major cliffy, but it does set up the next one. Straight away when you open this story it has you in the middle of action, I found it to be fast paced in the start, then a slow in the middle and picked back up in the end. I wish it was told in dual POV instead of first person, and third. I did struggle to at times to stay connected with the story, I haven't read a lot of sci fi, that's what I'm putting it down to. I LOVED all the ROMANCE, and totally here for Shade, he is again perfect male lead, if you liked Amanda’s other work you are going to enjoy the romance and male lead in this one too. Overall, I liked Nightchaser, and look forward to the next one. It was a good start to a new series.